It has been one year ago this month that Bernie Madoff became infamous. Looking back, it is amazing to think that that was a year ago. I think that almost all investors have heard of Bernie Madoff. If you have not, then you have been living under a rock. When the financial crisis originally hit, many investors started trying to withdraw money from their investments to protect themselves from the eventual recession. Firms like Bernie Madoff’s Bernard L. Madoff Investment Securities LLC, a Wall Street firm specializing in the market maker business often functioning as a “third-market” provider which bypassed “specialist” firms, directly executed orders over the counter from retail brokers. The firm also had an investment management and advisory division. On December 11, 2008, Madoff was arrested for running an estimated $50 billion dollar ponzi scheme after he admitted it to his two sons. A ponzi scheme is when a person or investment company pays returns to investors from the money paid by subsequent investors rather than from any actual profit earned. The scheme is named after Charles Ponzi who was made famous defrauding investors in 1903. 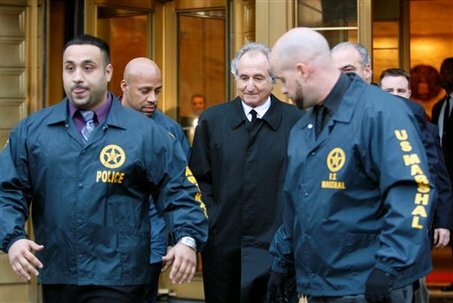 On March 12, 2009, Madoff pled guilty to an 11-count criminal complaint admitting to defrauding thousands of investors including many philanthropy organizations, celebrities, and other ordinary investors. The scheme has been called the largest investor fraud ever committed by a single person by many. While the recent events of the stock market downturn and Bernie Madoff’s fraud have been horrible for large and small investors alike, there maybe a slight silver lining for the rest of us that can be taken away. Here is a list of just a few lessons that can be learned from this whole horrible debacle. If it is too good to be true, it often is. With hindsight twenty/twenty, it blows our mind that people actually believed his promises of incredible returns on their money. Madoff sent out fake investment statements showing that he had delivered on his promise of 12%, 20%, or even 46% gains, month after month, to clients. Nowadays, we all would kill for anything better than a poultry 1% on our savings accounts and money markets (if we are even getting that). Oh, how the times have changed. 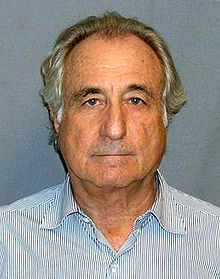 But, thanks to Bernie Madoff, we are all now a little more wiser, a little more cautious. Do not trust a firm that guarantees you a return especially if it is more than what is typical for the stock market to return in a single year. No one should be guaranteeing anything over 8% today. Anything over the return of a U.S. Treasury is far from guaranteed. Diversification Is Key. Employees who receive compensation in the form of their company’s stock run the risk of having too much of their finances tied to one company. The same has always been said for a mutual fund and stock investors who concentrate in a single company’s stock. You should have a wide range of investments that span the spectrum of capitalization size, investing location, and investing style. Too many people and even charities invested their entire life savings with Bernie Madoff. They were mesmerized by the high returns he was promising them, and then they did not have a single other asset to fall back on when they swindled them. No matter what the rate of return is, you should not put all of your eggs in one basket, with one advisor, etc. Trust But Verify. Bernie Madoff’s investment company issued false investment statements and documents. There were also reports that the company refused to be audited by outside, independent sources. These are huge red flags. Keep this in mind when you invest your hard earned money. Not only must you stick to reputable companies, but you as a shareholder or customer must demand that an investment or advisory firm be audited and that audit made public. The nightmare that is Bernie Madoff’s ponzi scheme is horrible, and there are a lot of real victims that aren’t all Hollywood fat cats. Many people lost everything. The trickle down effects of his scandal were felt all over. There are many lessons that we can garner from it, and we should pause to remember so we do not dare repeat. A little tardy, but would you follow-up & remind millions of working Americans that they`re subject to the biggest Ponzi scheme in history, aka, mandatory Socialist Insecurity. Bernie Madoff & other operators of private sector Ponzi schemes should be pardoned, since corrupt politicians are free to perpetuate their job protection scheme, Socialist Insecurity. Previous post: What Is Peer To Peer Lending (P2P) and How Does It Work?